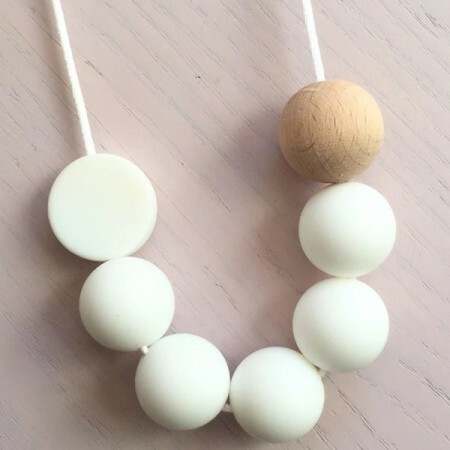 These stylish BPA free silicone and natural, untreaed wooden bead necklaces are not only beautiful to wear but safe for babies to chew on. Nylon cord is 85cm long. 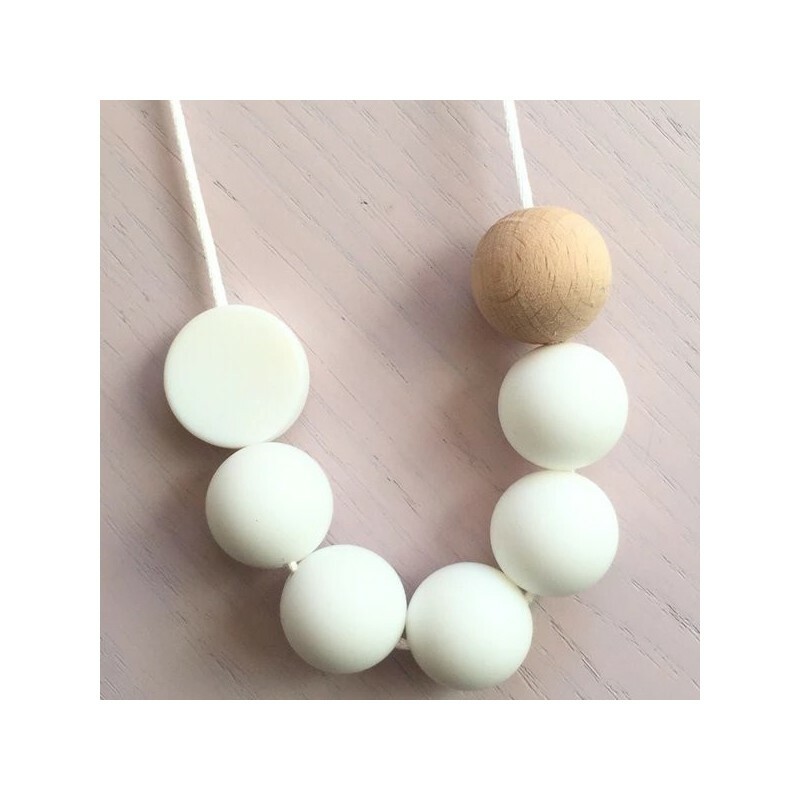 Winter White design. Bought this for a new mum as a gift. The beads were a little bit smaller than I expected, but it was still lovely and she appreciated it.